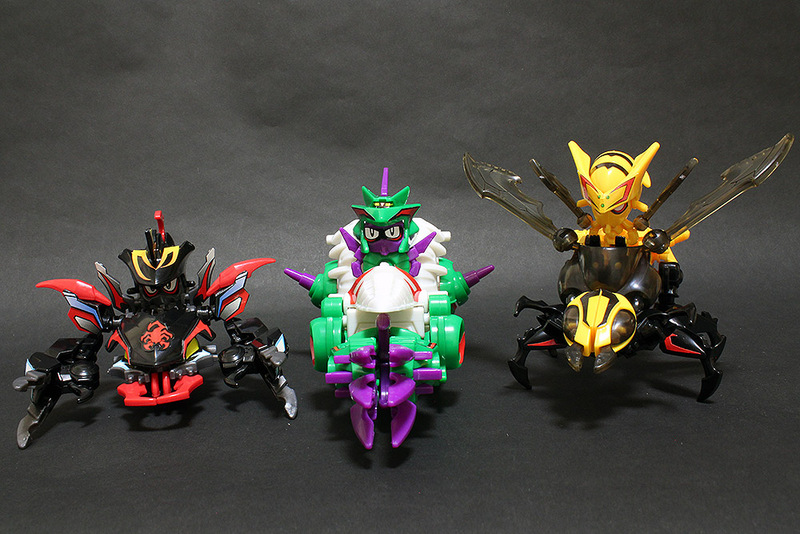 A brief post to cover the combiner mode of Devil Blighster, Devil Hornet and Devil Poseidon. 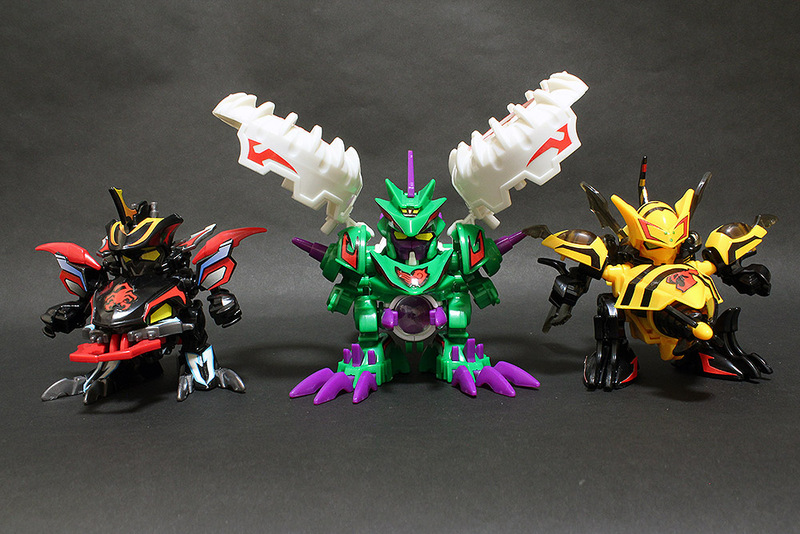 Starting with a size comparison of the three in Armor Mode. Devil Poseidon is slightly stretched taller than the other two. 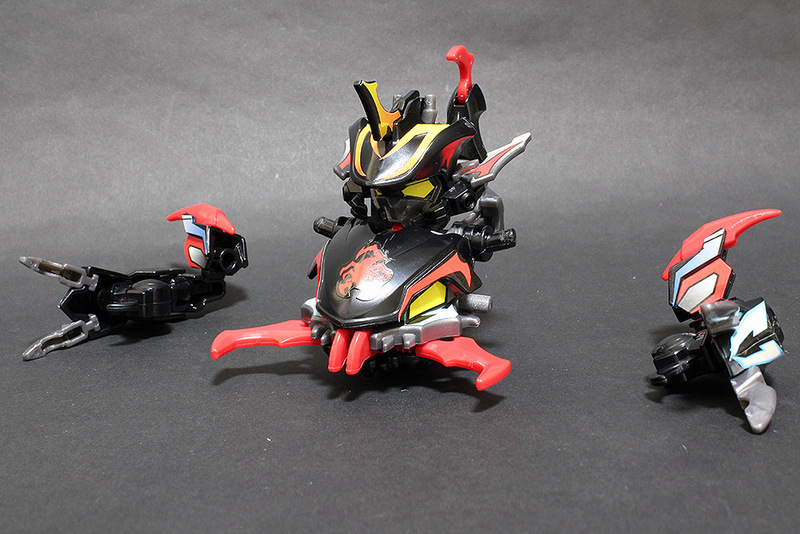 To prepare Devil Blighster for combination you start with Ride Mode, remove the arms and transform the figure into the Armor Mode head. 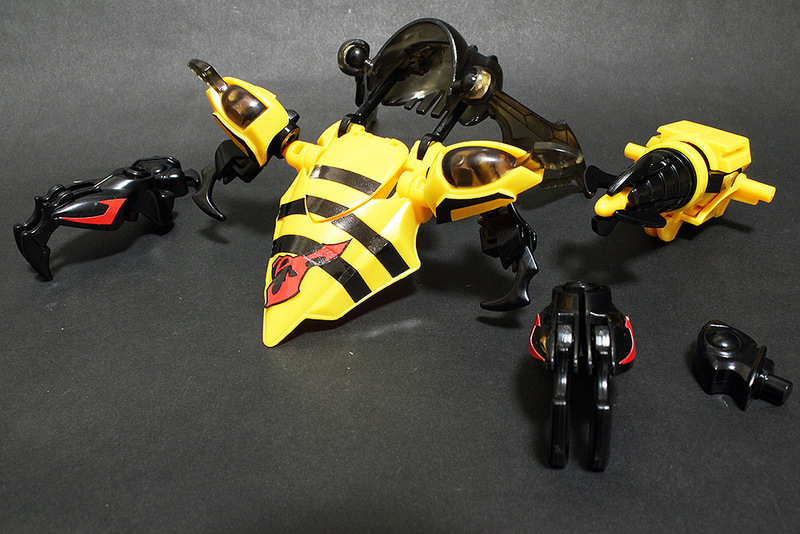 Devil Hornet transforms from Armor Mode with the legs and lower half separated. The head is not needed. 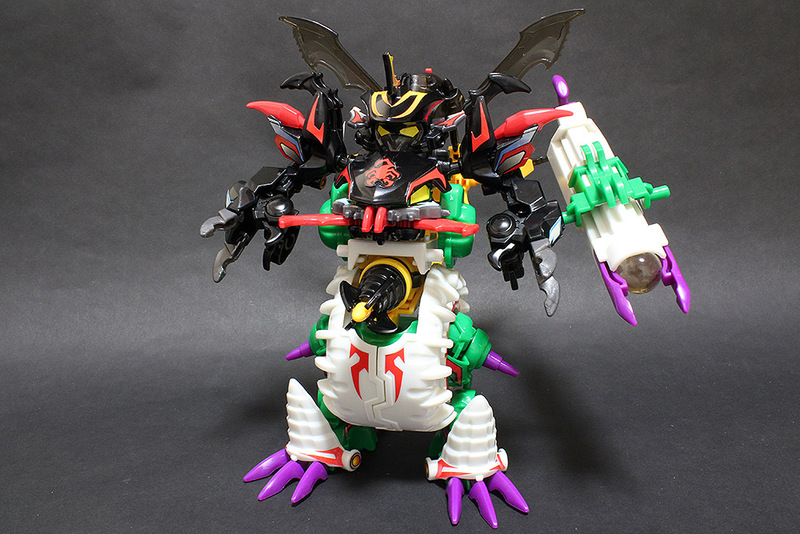 Devil Poseidon requires the most tiresome transformation as you partially disassemble the toy from Armor Mode. You then have to re-assemble it for to form the lower half of the combiner mode. 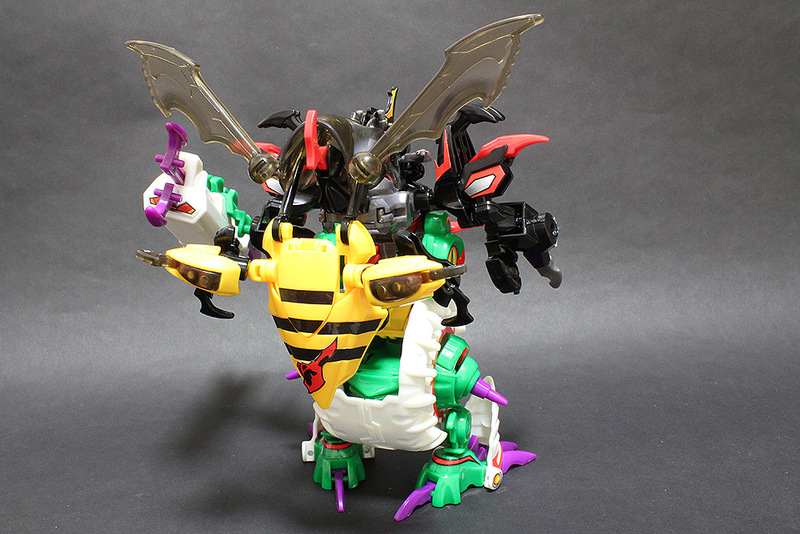 Finally, the Arms of Devil Blighster are combined with the leg parts from Devil Hornet and the upper and lower halves of the combiner mode are joined. The upper section of Devil Hornet simply hangs from the back. Size comparison with B-Da Caliber. 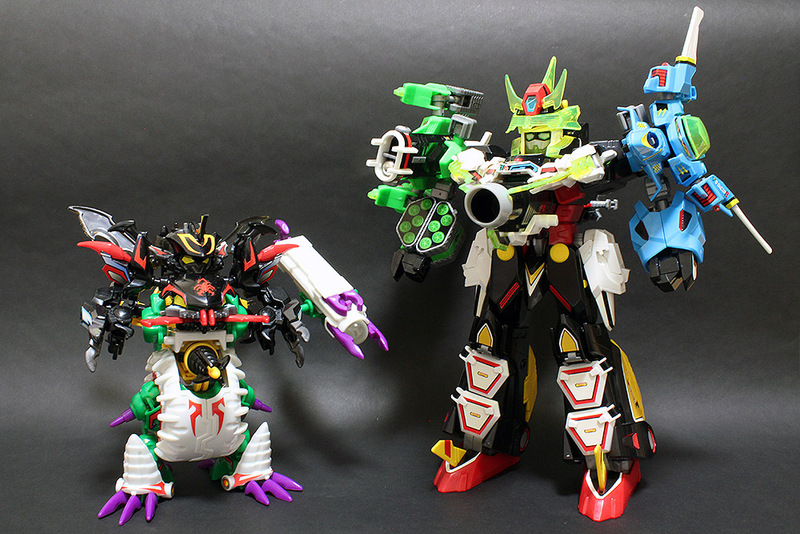 It’s no surprise that Devil Trident is shortchanged in terms of size as it comprises of three robots while B-Da Caliber not only has four, but has the massive Chris Blacker which makes up pretty much the entire combiner body.